This year I’ve talked a lot about the importance of charities becoming data-centric and using data to help them make key digital marketing decisions. But what if you don’t know what you want to measure or analyse? 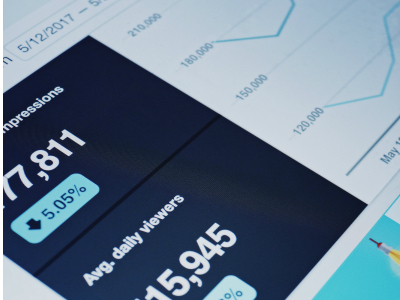 Sometimes you need a little bit of inspiration to help you get started, so here are three quick reports you can pull off in Google Analytics that allow you to start turning your data into tangible digital marketing actions. 1. Which content leads to conversions? Why run this report? This report determines the content that helps people do what you ultimately want them to do. That might be making a donation, or signing up for a challenge event. What you’ll need: A goal set up for your conversion of choice. Action from running report: Analyse the posts that help contribute to conversions. Is there a common theme? Use this information to plan future blog posts. 2. Which traffic sources are helping with conversions? Why run this report? Google automatically uses a ‘last click wins’ approach to assigning conversions to traffic sources. Whilst useful, this doesn’t give a true representation of what your supporters are doing when they visit your website. This report will help you identify which traffic sources have helped play a hand in getting that juicy conversion. Georgina wants to make a donation to an animal charity. She goes to Google and searches for “donate animal shelter”. An AdWords ad for ‘Rainbow Rescue’ appears and she clicks through. She spends some time on the website browsing through different pages and signs up for their monthly newsletter. Her sister phones and she forgets about making the donation. The next day she remembers about wanting to make a donation and goes to Google and searches for ‘Rainbow Rescue’. She enters the website and makes a donation. When looking in Google Analytics, you would see this donation assigned to Google Organic. But in reality, it wasn’t that simple, was it? This means that if you were looking at a monthly report that had 50 donations, all with very similar user journeys, you might make the decision that your Google Grants account in AdWords isn’t performing very well and make decisions based on this inaccurate assumption. Action from running report: Compare assisted conversions with ‘last click wins’ conversions, to check that assumptions you are making about a traffic source’s performance are true. 3. Do different types of users have different user journeys? Why run this report? People who come to your site through Twitter most likely follow a completely different path than those who find you through Google search results. If you lump all your users together, you won’t get a true picture of how users are interacting with your website. This means you might not be meeting everyone’s needs. What you’ll need: Create custom segments for both Twitter and Google Organic (don’t worry this is very easy – just follow these instructions). New Users and Returning Users are already in the system. Action from running report: Look to see how new users and returning users behave differently. You might see that new users go on to look at your ‘About’ pages or ‘What We Do’. Whereas returning users tend to head straight to your blog. Compare different traffic sources – you might find that users who come from Twitter view only the blog post that was shared and then leave, whereas users from Google search results tend to browse several pages. You can then use this information to make changes to your website to help create better navigation. For example, those Twitter users who are leaving straight away could be persuaded to stick around simply by adding a “You might be interested in…” carousel at the bottom of the page that links to other relevant blog posts. With a little bit of inspiration and a push in the right direction, you can start using data to really inform your approach to marketing. You’ll be able to make more strategic decisions routed in evidence, as well as witness trends, relationships and anomalies which will give you rich insight on your digital audience and their behaviors. If you really want to get stuck into more data-driven reporting, then you need to work backwards. Start by thinking about what you really care about and then work out what data will help you answer those questions. A good place to start is by creating a measurement strategy. You can download my measurement strategy template for free. Fran is a freelance digital marketing consultant who specialises in working with charities and not for profits. Fran has spent over 10 years working in digital marketing and has extensive experience of working with charities both big and small. Fran is particularly passionate about providing smaller organisations the same expertise and knowledge usually only the big guns get access to.